May 12th in Wordpress Plugins by Wordpress Jedi . In the past few years, we have covered a bunch of awesome theme that let you build a respectable presence for your hotel and hospitality business. Not ready to change your theme completely? The Hotel Booking System plugin can help. It is a booking platform that lets your visitors reserve their room on your site. 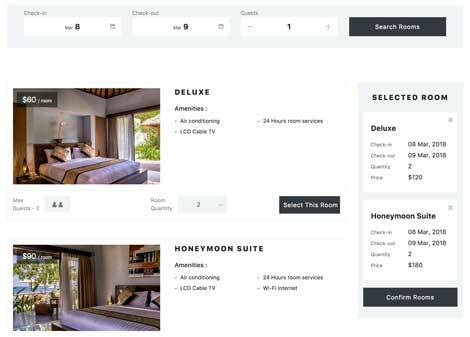 Hotel Booking System allows you to manage rooms, floors, amenities, and bookings. You can accept PayPal, Stripe, and other payments. It comes with room availability and custom pricing calendars. You will be able to view booking details, filter through your lists, and review payment history. This script has a clean front-end, allowing your visitors to enter their information and find a room at your place to reserve. Creativeitem is a developer behind this paid plugin.